Immaculate Conception refers to Mary being conceived without the effects of original sin and not to Jesus being conceived in Mary. 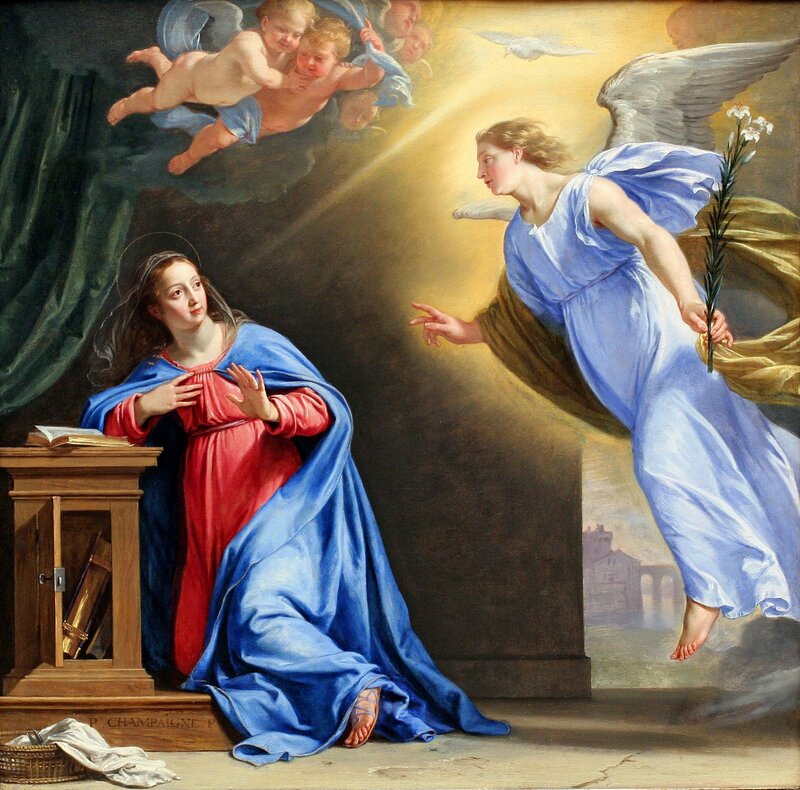 Mary’s Assumption is related to her being born without original sin, for death is the result of sin. Therefore at the end of her earthly life, she was assumed by the power of Christ into Heaven. Our Lady of Good Help is the only approved Marian Apparition in the United States. Mother of God is a poorly translated phrase from the Greek “theotokos” which more accurately means ‘God bearer.’ This phrase was coined in response to Nestorian heretics who taught that Jesus was not God from the moment of His Conception but only later became God later in His life. So the title “Mother of God” has little to do with Mary and more to do with who Christ is: fully divine and fully human from the moment of conception. According to historian Jarslov Pelikin, “theotokos” is a title unique to Mary the Mother of Christ. An image of Mary is the Unburnt Bush. Mary's parents, Joachim and Anna, are not mentioned in Scripture. Their names are mentioned in the Apocryphal Gospel of James.